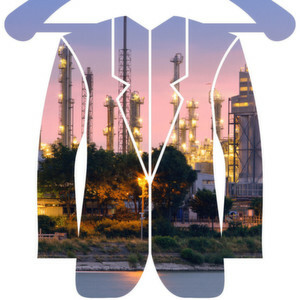 How modern insulation systems increase energy efficiency—What works for people, also works in this particular case for chemical plants as well: Without the right clothing, energy consumption for heating or cooling to the ideal temperature increases. Potential annual savings of 16124 GWh are there for the taking in the energy-intensive chemical industry. What do companies need to do? 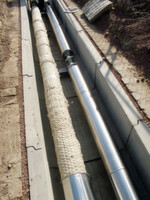 PROCESS finds out from insulation manufacturers, industry associations and the chemical industry. They are inconspicuous, mostly surrounded by metal panels, tend not to attract a great deal of attention and yet can be such an important factor in the energy efficiency battle: Insulations. Despite the many efficiency standards and greater awareness among operational personnel, the specific benefits of industrial insulation systems are not yet known to everyone who operates a process plant. Although the potential savings are plain to see, "there are still some who don't appear to have got the memo," says Thomas Ortlieb, relating his day-to-day experience on the factory floor. Ortlieb is head of Technical Support at insulation and building services provider G+H Isolierung and is one of 14 certified Tipcheck engineers at the company. Tipcheck stands for Technical Insulation Performance Check, a standardized Europe-wide energy audit tool for checking the performance of insulation systems at industrial plants. There are now around 100 such certified engineers in different companies. Created by the European Industrial Insulation Foundation (EIIF), the aim of Tipcheck is to identify potential energy savings which are both economically viable and feasible. Ortlieb and his colleagues are not just looking for subsystems where savings can be realized immediately and deliver rapid payback, they also highlight wider-ranging possibilities for improving safety, efficiency, carbon footprint and processes. "When we conduct our Tipchecks, we often come across employees of customers who believe that they've already done everything that — seen from the outside — appears reasonable, regardless of the actual condition of the insulation," says Ortlieb, remarking on the lack of specialist knowledge and insufficient insight of some plant operators. However, Ortlieb would not want to generalize, since there are also companies in the industry whose practice is exemplary in this specific area. If all production facilities with operational plants in Germany were insulated to the same degree as these prime movers, potential savings could be made of 80 PJ and 6.3 Mt CO2 per year, according to a study by energy consultants Ecofys, which equates to the annual energy consumption of 1.5 million households, as well as the CO2 emissions of 4.3 million midsized automobiles with an annual mileage of over 7,500 miles. The authors of the study, which is entitled "Climate protection with rapid payback — potential energy and CO2 savings through industrial insulation in Germany", reckon that a one-off investment of € 180 million will save € 750 million per year.